This school is part of the OIU system. Its purpose is to educate foreign students who are interested in enrolling in universities or graduate schools in Japan, in the Japanese language, culture and current affairs. 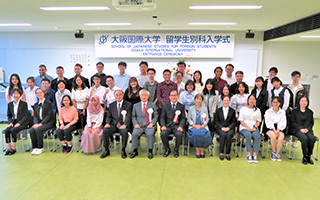 The school has both exchange students from overseas schools with whom OIU has agreements and foreign students who are here to improve their Japanese proficiency, therefore you will find yourself interacting with classmates from all around the world in Japanese and will gain an understanding of how other people in this world think. 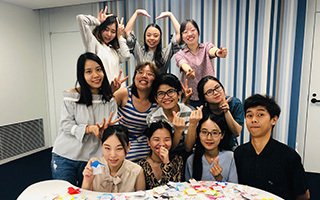 The campus has everything you would expect a university to have and the classes are taught by seasoned faculty with extensive experience in Japanese language education. There are also opportunities to interact with Japanese students, so learning extends beyond the classroom. Copyright (C) 2015 Osaka International Educational Institution. All rights reserved.